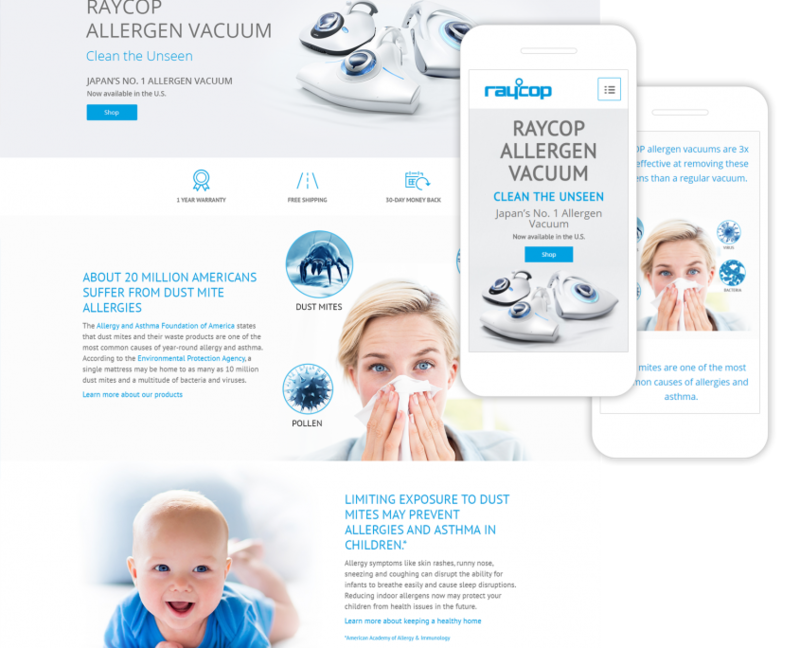 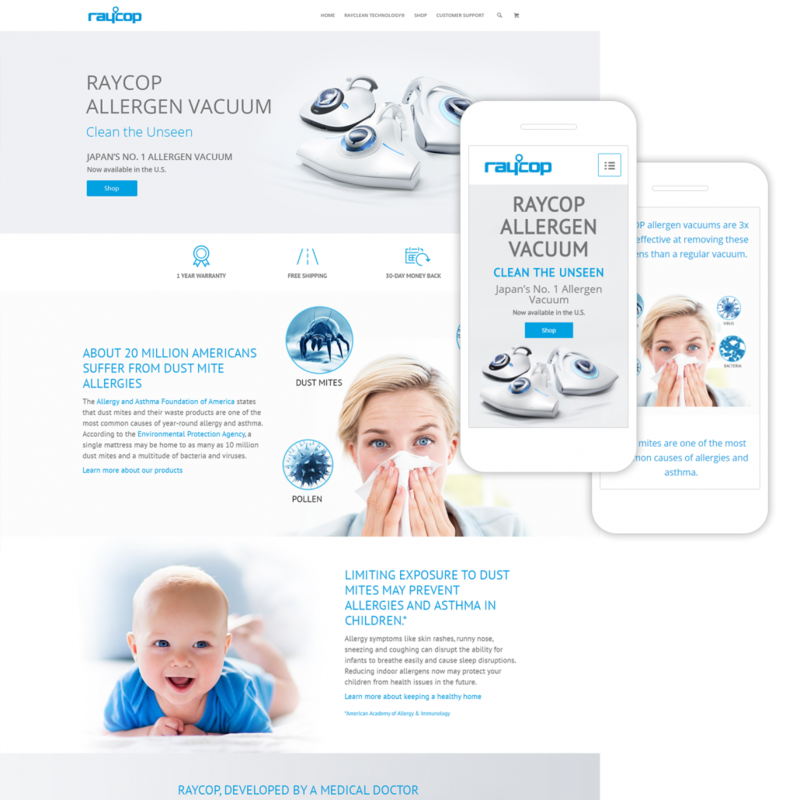 Raycop – David Safanda Design Solutions Inc.
RAYCOP is a consumer health appliance company that offers an innovative home fabric surface purifying device. 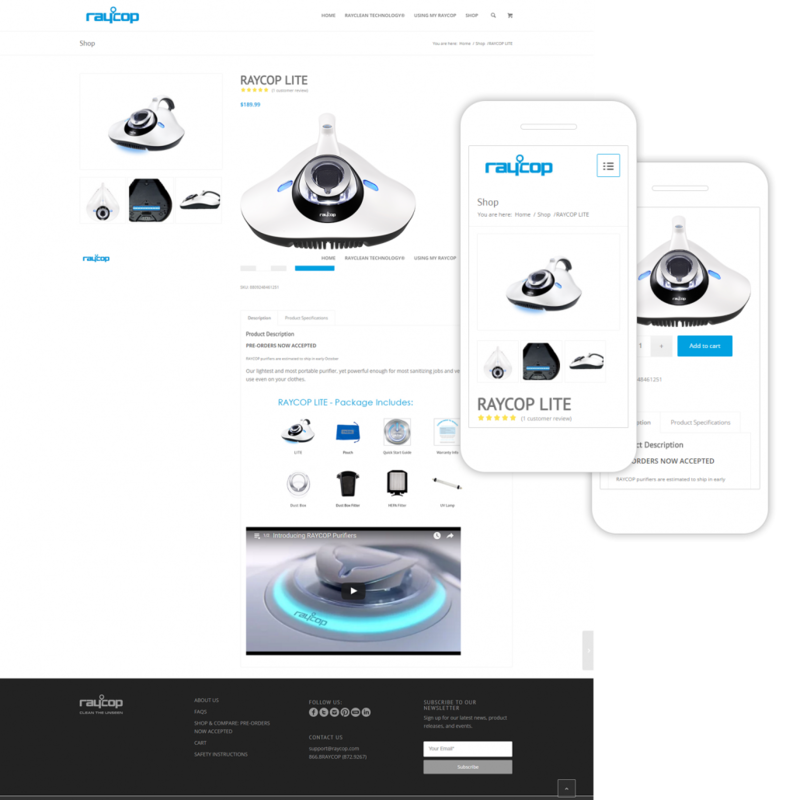 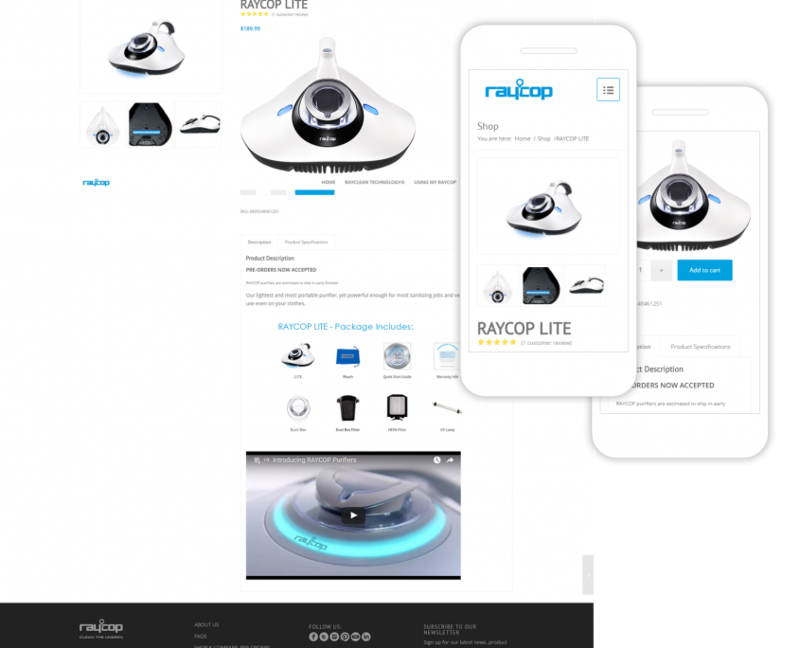 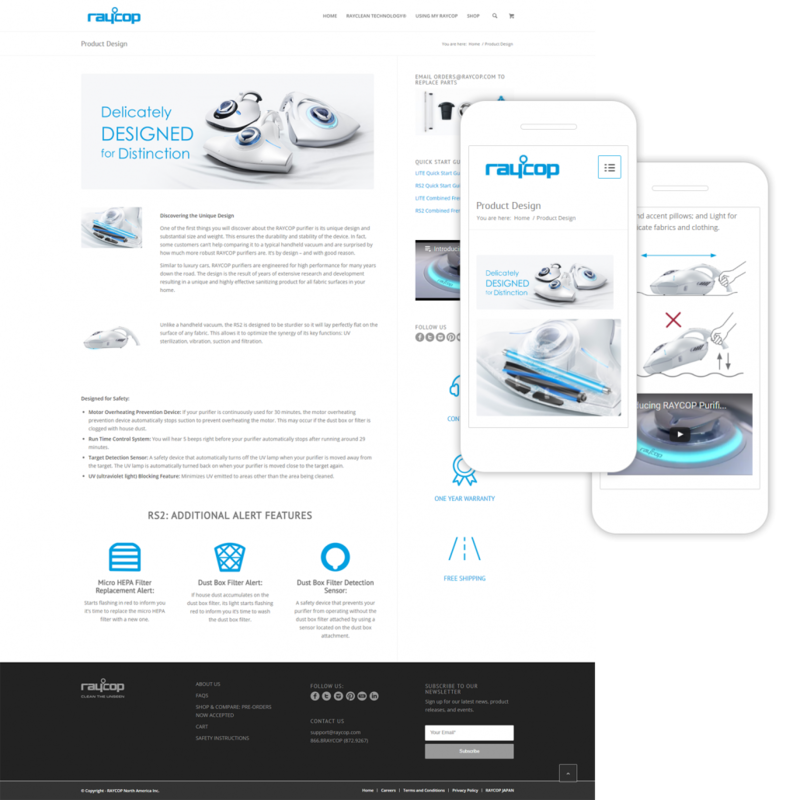 This project required customizing and styling a popular WordPress theme to reflect a unique and engaging visual design that presents RAYCOP products in a manner that is consistent with established marketing goals. 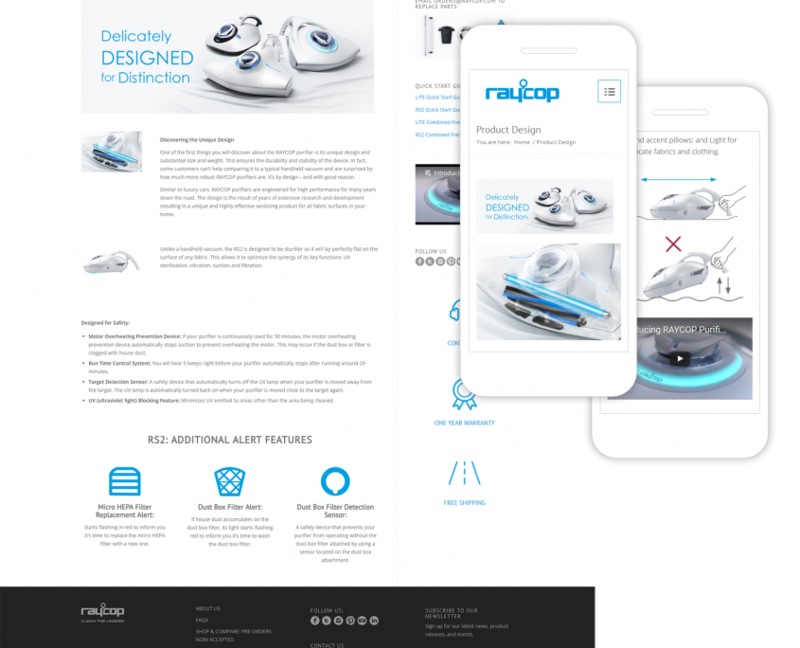 I was also responsible for developing all supporting icons and illustrations and coordinated and directed the use of accompanying photography.